Home Apple Mac Leasing Apple Laptop Leasing MacBook Pro 15"
The remarkable MacBook Pro is available for hire and lease from HardSoft Computers. Contact us today to for a bespoke quote. The top of the range MacBook Pro 15″ is the ideal notebook for enthusiasts and professionals looking for fast performance in a super compact and light design. 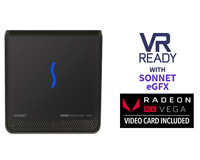 It features a stunning 15″ Retina Display that is 67% brighter than before, 8th generation Six Core i7 2.2GHz or i7 2.6GHz Processors and advanced AMD Radeon Pro 555X Graphics. 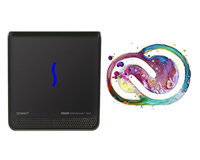 Updated PCI Express-based flash storage available in 256GB up to 4TB. 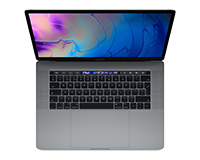 The 2018 MacBook Pro 15-inch is available on a flexible business lease and features the new Touch Bar, this replaces the function keys and is a Multi-Touch enabled toolbar that gives you instant access to the tools you need. Featuring fast, reliable Wi-Fi and outstanding battery life, this MacBook Pro 15″ is perfect for working from the office and on the move, all this packed in an incredibly thin and light design. 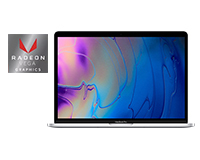 The MacBook Pro 15″ is within your budget when you lease with HardSoft Computers, all leases come with a 3-year warranty and telephone technical support. Give our helpful sales team a call today on 0207 111 1643 or email sales@hardsoft.co.uk to arrange a quote for you. As an IT and finance specialist, we can advise on the IT that you need as well as how to finance it. HardSoft have been trading for over 30 years and are your one stop shop to IT and finance. With 3 years free warranty and telephone technical support included in your Apple lease package, we will also be able to support your IT. 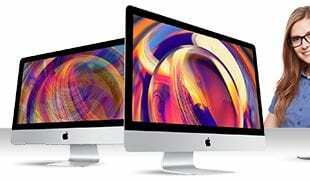 Our highly trained technical team have Apple Certifications and are dealing with Apple Mac’s in business daily. On the road and across the UK, they work from multiple offices and locations. Apple leasing makes great business sense. Usually at a lower rate than a bank loan, Mac leasing and hire also offers 100% tax relief! 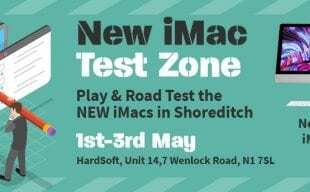 The Mac lease runs for 18-36 months and with technology moving at such a fast pace, we provide great upgrade opportunities. Retain, Renew or Return means that you can upgrade your IT after just 24 months of a 36 month lease. The Apple MacBook Pro lease is very flexible! With a range of payment options and time scales, we can tailor your Apple leasing package to suit your business. With over 30 years of IT and Finance experience our specialist Apple lease is tailor made for business.